Most homeowners are familiar with the major parts of a chimney, like the flue and the chimney cover – but have you ever given any thought to the chimney liner? The chimney liner is, according to many experts, the most important part of your chimney when it comes to safety. And eventually, there will come a time when your chimney needs to be relined. Chimney liners serve several critical purposes. One task that chimney liners perform exceptionally well is protecting the structure of your chimney from the high temperatures and aggressive chemicals produced by your fire. The insulating properties that chimney liners provide prevent the formation of fire pathways that could cause serious damage to your home. Chimney liners also channel the heat, gases, and hot air to the outside of your home. This not only protects your family from inhaling dangerous gases but prevents combustible materials adjacent to your chimney from catching on fire. Chimney liners prevent carbon monoxide from seeping through the bricks and mortar into your home. Keep in mind that masonry is porous, and without this protective liner, you and your family would be subject to dangerous, if not fatal, levels of carbon monoxide. Hot embers often rise with the smoke. Without a chimney liner in place, those hot embers can exit through the flue. Once outside, they could have an unpleasant encounter with any combustible materials around your chimney. In short, they help to keep the fire inside your fireplace, not on your roof or in your yard. When a chimney liner can no longer do a good job, or if you change the type of fuel your fireplace consumes, then you need to look into chimney relining. There are certain situations in which a chimney liner should be replaced. If your chimney does not have a liner, it needs one for safety reasons. If the existing liner shows signs of deterioration, corrosion, or warping, it needs to be replaced. If you’ve converted your fireplace to burn a different type of fuel, you may need to replace your chimney liner. For example, you may have converted your wood burning fireplace into a gas fireplace. The type of fuel you use in your fireplace affects the type of venting regulations for local and state building codes. The same is true if you have had a fireplace insert installed: You still need chimney liner to meet building codes. If your chimney has a clay liner, it will eventually begin to wear and deteriorate. As it does so, cracks and gaps can form. These imperfections defeat the entire purpose of having a chimney liner because they allow carbon monoxide, heat, and even hot embers to gain access to your home. The result is a substantially increased risk of carbon monoxide poisoning and fire damage – neither of which you want to risk. Sometimes cracked liners can be a sign of other problems, namely structural damage to the chimney. Ignoring the damaged liner allows the structural damage to worsen, leading to even more costly repairs in the future. Pre-fabricated fireplaces and fireplace inserts are usually considered heating appliances. Because of this, they need to meet local and state building codes for venting heat appliances. 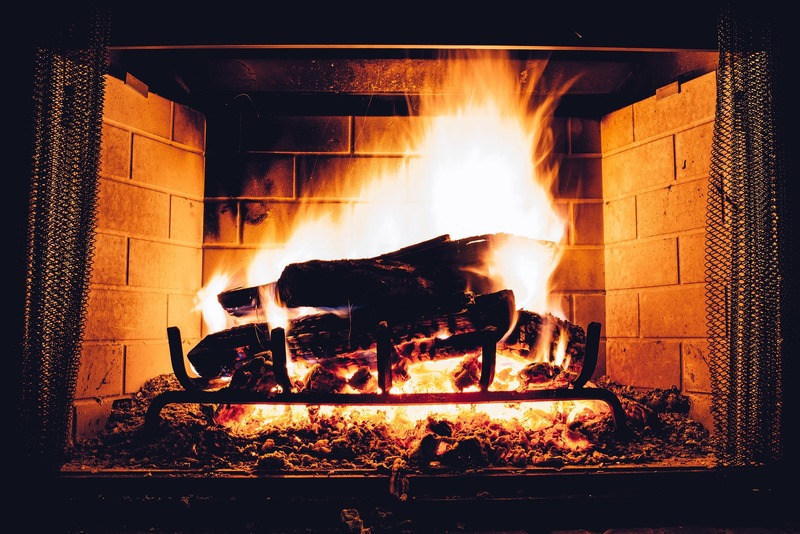 Stainless steel flue liners are the best choice in these situations because they usually meet building codes, are simple to install, and can be directly connected to your fireplace or fireplace insert. These liners tend to be more expensive, but they do typically come with a lifetime guarantee and are considered an excellent investment. 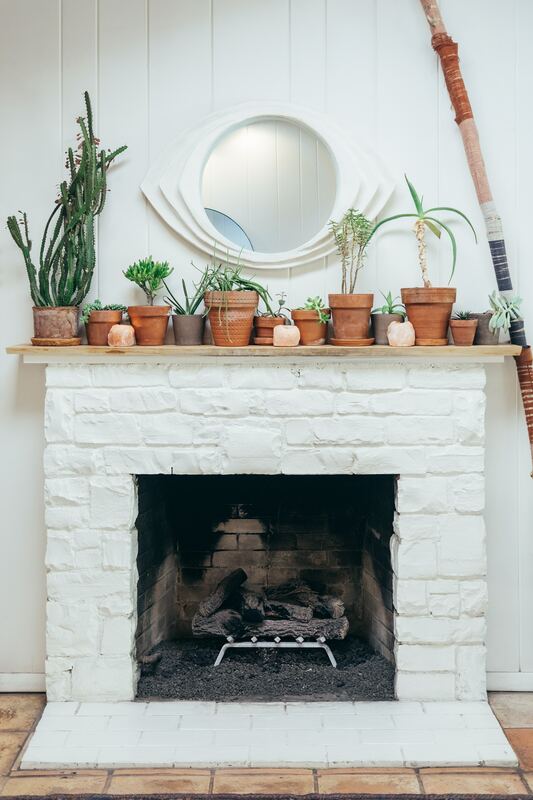 When building a new fireplace, clay tile chimney liners work extremely well because they offer a long life and are made from relatively inexpensive materials. They should not be used as replacement liners for two reasons: They are extremely complicated and very expensive to install on an existing chimney. These liners do have a very long service life, often lasting up to 50 years before they need to be replaced. The third type of liner is the cast-in-place chimney liner. As the name implies, they are installed using poured cement. If you have an existing masonry fireplace that has a clay liner that is no longer in good repair, cast-in-place is going to be your best option (keep in mind that clay tile liners cannot be repaired easily). This is also an excellent option if your existing chimney has some structural issues. These liners also last about 50 years and can help to stabilize your exiting flue. Chimney liners are a critical part of your chimney and are necessary for keeping you and your home protected from fire and gas. If your chimney needs to be relined or does not have a liner in place, you should not use it until it has a new liner. If you are having chimney problems or suspect that it’s time to replace your chimney liner, then call McNamara Masonry. Our team of highly skilled experts can evaluate the condition of your chimney and its liner. If there are any problems, you can count on us to make the necessary repairs or installations that will last and keep your family safe. Contact us today so we can update your chimney!